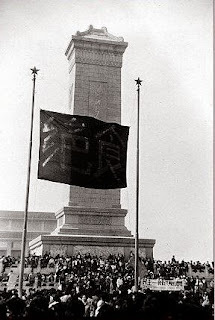 A "hunger strike" black flag, made by Feng Congde, hangs in Tiananmen Square. 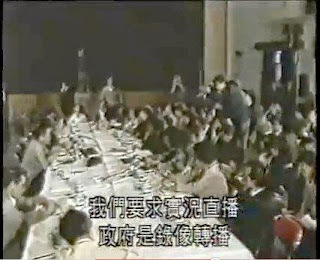 Hunger strike students meet Yan Mingfu and other leaders. 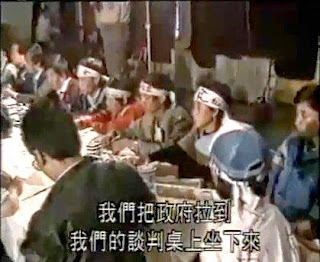 Hunger strike students at the dialog. 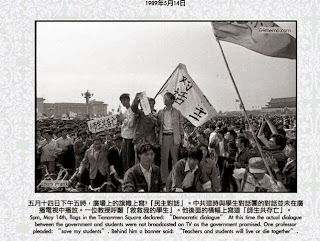 Students at Tiananmen Square wait for news about the dialog. 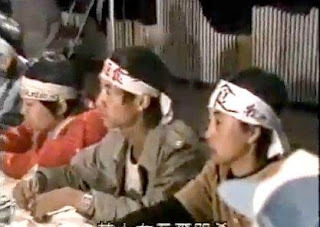 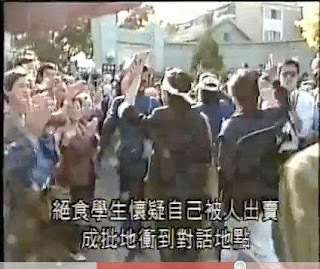 Hunger strike students from Tiananmen Square march to stop the dialog for lack of live broadcast.